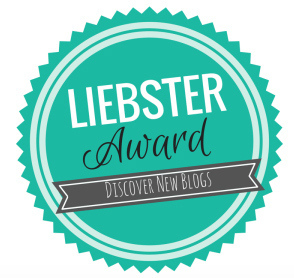 I've been nominated by Yummy Feed for the Liebster award! After being encouraged by sister to start my first blog (Naomi Loo Design), I created Make-Bake-Travel so I could share my journey with my readers, focussing on food I've eaten, things I've baked and places I've travelled. 2. What is your favourite and least favourite aspect of blogging? What makes me happy is seeing that my posts are being read all around the world :) It's always interesting to see where my readers are. My least favourite aspect? Not having enough time to write the post when I want to! I'm usually blogging on the train, on the way to work, just to keep up to date! 3. What advice would you offer to someone just starting up a blog? 4. What or who is your favourite blogging resource? I'm not sure if I'm answering this correctly but I'd have to say I often find myself looking at fashion blogs even though I love food! I think Extra Petite and Wendy's Lookbook would be my favourite two blogs. 6. If there was one thing about your blog that you could improve what would it be? My HTML knowledge so I could edit the layout! I've been meaning to include a separate page so all my recipes can be found easily. Guess that can be my resolution. 7. Which country would be your ideal food heaven? 8. If you did a paid campaign (or series of campaigns), who would be your dream sponsor? Best moments would be being spotted by Zomato and then invited to #ZomatoMeetups for lots of delicious food! I've been lucky enough not to have any negative moments but I remember designing my logo took longer than I had hoped! 10. Where do you want your blog to be in 1 year? 1. What's made you really laugh recently? 2. If you had to choose one food to live on what would it be? 3. What did you want to be when you were little? 3. If you could have one superpower what would it be? 4. What is the best thing you've ever done? 5. Three things you can't live without? 7. Who or what inspires you the most? 8. What is your favourite recipe? 10. If you could chose anywhere to live, where would it be?